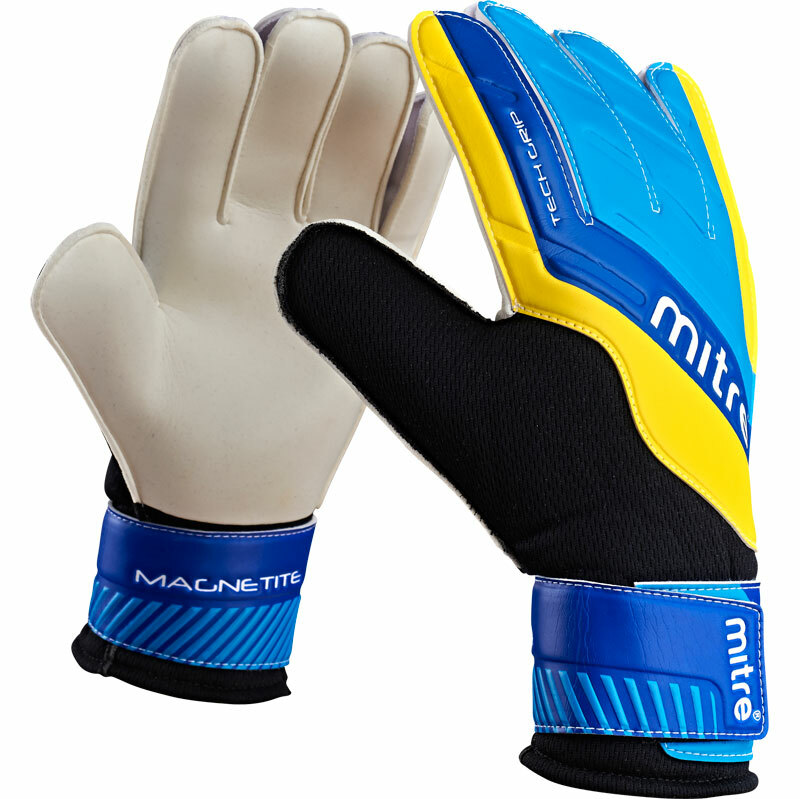 The Mitre ® Magnetite Goalkeeper Gloves are senior sized gloves designed with comfort and protection in mind. With a flat palm construction and a fully elasticated cuff with wraparound strap the Magnetite Goalie Gloves are perfect for match play or training. Flat palm construction built with 3mm latex palm and EVA backhand. Air-mesh thumb for added breathability and embossed palm details. Fully elasticated cuff with wraparound strap. Available in size 7,8, 9, 10 and 11.